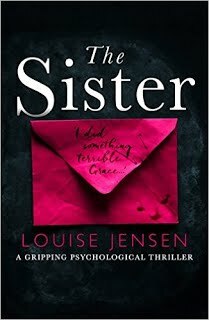 I am enormously pleased to have as my guest this week psychological suspense writer, Louise Jensen, whose novels, The Sister and The Gift, have both been number 1 bestsellers and sold for translation in ten different countries. Having just read The Sister, and thoroughly enjoyed it, I couldn't wait to ask her a few questions about her writing. You’ve written two psychological thrillers, had you written anything before? I have been writing non-fiction for years for health and wellbeing publications, writing mainly about mindfulness and chronic pain. Writing a novel had always been the dream but time and family meant it was something I kept putting off although looking back I think it was fear that held me back. Beginning something and knowing you need to write 90k words is incredibly daunting. I lost a great deal of my mobility in my 30’s and with more time on my hands I decided to write a book about mindfulness, which I teach. I went along to a local writing group to find out a little about self-publishing and I was given 3 words and 10 minutes to do a ‘hot pen’ exercise. I wrote the opening to The Sister and for days afterwards I couldn’t stop thinking about Grace and Charlie and decided to try and expand my snippet into a short story but I couldn’t stop writing. Had you always had a burning desire to write in this genre? I didn’t realise I was a crime writer until I was offered a book deal and my publisher wanted to talk about marketing. I wrote the story I wanted to tell, one I would like to read. One that made me scared, one that moved me to tears. 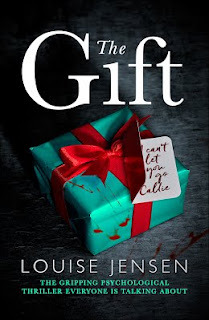 I’m contracted for 2 more thrillers, I’ve recently released The Gift, the second and I’ve had to write knowing it needs to slot into a genre which has been more difficult. Ultimately I love feeling unnerved but I also love the emotion in commercial fiction so I try to blend the two genres. ‘The Gift’ is your latest novel. Can you describe it in one sentence? Jenna hasn’t been the same since her heart transplant; recognising people she’s never met, discovering secrets she shouldn’t know, seeing a murder that never happened. Are you a planner or a pantster? Oh I wish I could plan. Particularly now writing to a deadline. I generally start with an idea and a strong female lead and see where it takes me. Throughout the writing process though I always bear in mind what the character wants and what is stopping her from getting that. This means everything I write stays connected to these points and doesn’t veer too far off track. What would you say would be your typical writing day? I catch up on social media when I wake and then after the school run I write until around 12. After lunch I’m not very creative in terms of getting new words down so it’s time for blogging, admin and editing. I try to finish around 4 so I can spend some time with my son. You’re published with Bookouture. Can you tell me a little about your road to publication? My road to publication was relatively easy, although I did receive the inevitable rejections every writer has. The Sister wasn’t finished until November and I had a contract by January. That said I’d been very careful in making sure it was absolutely ready. I paid for a professional critique which was enormously helpful and I made some last minute tweaks after receiving my report. You’ve recently been interviewed by ITV news. Was that scary? ITV rang me the night before as I’d just reached my second UK no.1 in a year so I didn’t really have time to get nervous, plus, if I’m honest I thought it was a joke and didn’t expect them to turn up. The interviewer was lovely and really put me at ease and it was a great experience for all the family. Any other novels in the pipeline? I’m due to release my third psychological thriller with Bookouture at the end of this year so I’m in the infancy stages of writing it. Not quite knowing yet what it will be about but that’s half the fun! Thanks so much Wendy for inviting me onto your blog. 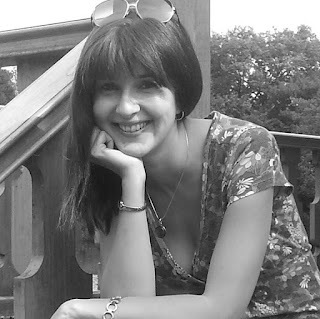 Louise is a USA Today Bestselling Author, and lives in Northamptonshire with her husband, children, madcap spaniel and a rather naughty cat. It's amazing where a simple writing exercise can lead! Although we obviously have rather different tastes I totally agree with writing the stories we want to tell and read. If we don't love the book, it will be very hard to spend the time needed to get it right. Thrilled to read this post, Wendy. I downloaded The Gift last week, purely based on the blurb and the cover :) I didn't know the author and it has been lovely to read about her here. Thanks for that! !Wishing Louise every success. Have a lovely week. I think the covers are fantastic - so eye catching. It was the reason I bought them too. I've just finished reading The Sister which I really enjoyed and am about to read The Gift. Thanks so much Nicola - I do hope you enjoy reading about Jenna. Great interview, thanks Wendy and Louise! Really interesting that you didn't know you were a crime writer until the publisher spoke of marketing. Good luck with book 3! I'm lost king forward to book three too, Sam. Thanks Sam - you too! Really enjoyed this interview - thank you Louise and Wendy. The premise sentence for The Gift is terrific - I'll be looking out for this one! Thanks Tracy - I do hope you enjoy reading The Gift. Great interview. We're all very proud of Louise here in Kettering. Thank you. Do you know Louise, Julia? That's lovely Julia - thank you! I loved both 'The Sister' and 'The Gift' so thank you Louise and Wendy for this interview. I agree with what you said about writing the book you want to read. Amazing covers! Thanks for the lovely comments, Jan. Thanks Jan - I got very lucky with my cover designer. What a great interview - love the sound of your books, Louise! Good to hear how a simple writing exercise can show someone what they should be writing.